Patsy Thompson Designs, Ltd. » On Cloud Nine!…and a Give Away! On Cloud Nine!…and a Give Away! …that’s how I’m feeling the past few days since the files for “Feather Adventures! Volume I” has gone to the printer.Â It’s official; it’s in the can and my feathers book is being printed as we speak!Â This has been a monster of a job to put together but worth every second of toil and sweat because, if I do say so myself, the book is FABULOUS, simply FABULOUS!! Do you think I’m a bit biased? !Â Yup!Â I am, but I am over the top excited!Â I don’t have an exact date yet, but expect both the Feathers book and the Hyperquilting book to be released simultaneously and I’m guessing it will be 3-4 weeks from now, possibly a bit sooner and possibly a bit later.Â I can’t wait! I feel like I’m exploding with excitement, just like all the colors in this quilt!Â To celebrate, I’m offering a give away of one copy of the Feathers book and one copy of the Hyperquilting book!Â To be eligible, all you need to do is to leave a comment on this post telling me why you’d like a copy of whichever one interests you, and I’ll draw the winner the day the books debut!Â If you’re interested in a copy of both books,Â please post 2 separate comments, as I’m going to divide these comments into 2 subsections when I do the final drawing. And now that I have a bit of time on my hands, I’m going to the sewing room to whip up something FUN! Here’s a 2nd comment so I can be included in both!! I would love either book feathers or hyper. I buy books all the time. I have been wishing for your DVDs but haven’t purchased because I just don’t watch DVDs (TV is my husband’s domain). So, he wouldn’t let me watch even if I did buy them. I’m so excited that you are doing some books!!! I would like to win your book on feathers. I should win because I really like to win drawings and contests. I would like to enter the hyperquilting contest, also because I like to win so much. I’d love to win the Feathers book. I have the DVD, and the proofs of the book look fantastic! I would love the Feathers book and if I can master them I will be one happy camper. thank you for the opportunity to win a copy. I would like the Hyperquilting book . 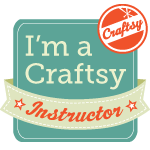 You are amazing and I know this would help me get better with my machine quilting. thank you for the opportunity to win a copy. At first I didn’t think I’d be interested in the Hyperquilting book but the more I played and thought about it I thought, Yes, why not? So throw my name in the pot for that book also. I just found your web site/blog and am mesmerized! WONDERFUL!!! thank you so much for making machine quilting an obtainalbe option for quilters. I would LOVE to have either of the books and so I am going to makes two comments to be included in each drawing. I have studied your video’s on your site and am astonished at how easy you make machine quilting look. I am so happy I found your web site and will be visiting often for updates. Please include me in either one of your book drawings. LOVE, LOVE your work!! I’m a fan of your website and check it often. I would love to win a copy of your Feathers book. I just finished quilting a Turning Twenty Again quilt using feather wreaths in the big squares and then filling in around them with the feather explosion pattern. I really enjoyed the speed and ease of these feathers and the fabulous results. I love looking at the back side of the quilt and just enjoying all those lovely, undulating feathers that sprawl so gracefully across my quilt. Thank you so much for sharing your knowledge in such a fun, generous, and gracious manner. Emails, you get screens and screens of emails.. I am very inpressed with your work. 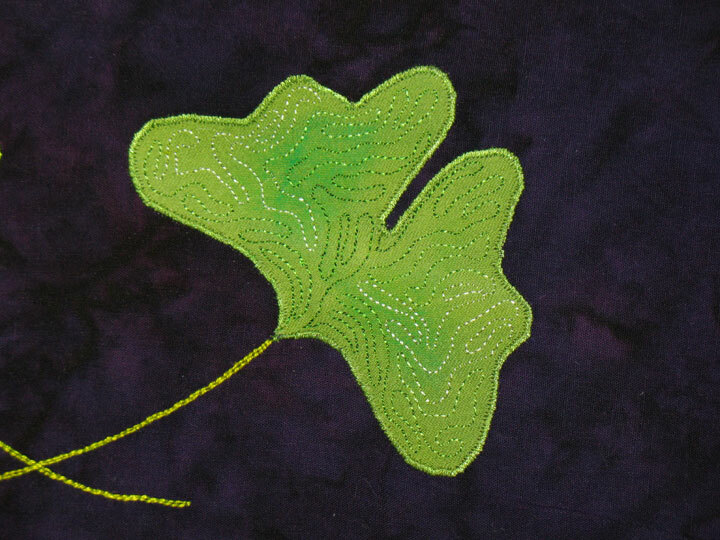 The colors of your fabric are fantastic and then you do your quilting on it and it seems to just glow. I would love to learn your techniques from the Hyperquilding book. Your work is wonderful! I am a huge fan! Hyperquilting…I would love to learn this. Your Hyperquilting is wonderful! Love the name and the technique. Your quilting is beautiful and inspiring. Thanks to your postings, I’ve attempted free-motion feathers. Looking forward to your next entry. Thanks. I am new too quilting! I would love to learn to do Hyperquilting! I am new to quilting! I would love to learn to do feathers! I would just love a copy of the feathers book- i have been free-motion quilting for a while now, but i have not yet “got” feathers! HELP! I would also enjoy your hyperquilting book. Anything with the words hyper and quilting in the same thing is for me! I love your videos and would love to have the feathers book–I will have it…but would love to win it instead of buying it! And I would love to have the Hyperquilting book, too. Your work and instructions are awesome! Please add me to the list, Patsy. Now that this horrible winter is over, maybe we’ll see each other at an FAA meeting. Just discovered you and I’m definitely a fan of feathers. Sign me up! Would love to receive the Feathers book! I find your instructions to be very clear, and I still need help with feathers! Well done Patsy, you have done it again. Your DVD’s have taught me to stitch feathers and I would love to receive your feathers book. Oh, the colors are gorgeous, I love this site!